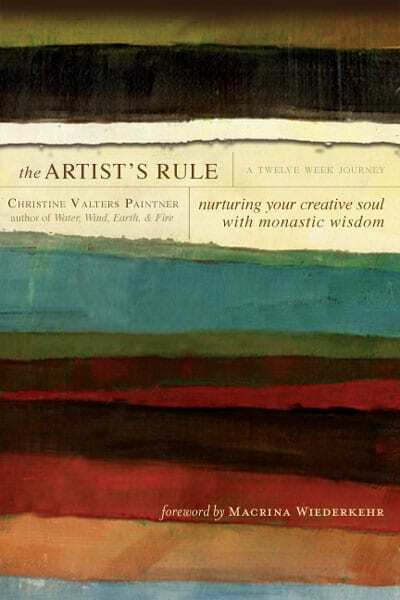 Summarized in the phrase "pray and work," The Rule of St. Benedict provides the inspiration for Christine Valters Paintner's newest exploration of the mutually nourishing relationship between contemplative practices and creative expression. Artists of all stripes and stations in life--poets or painters, potters or photographers--will discover how traditions of Benedictine, Celtic, and desert spirituality can offer new sources of inspiration for their work. Through this twelve-week course, themes like "Sacred Tools and Sacred Space," "Creative Solitude and Community," and "Nature as a Source of Revelation and Inspiration" are enriched by Paintner's perceptive discussion and enhanced by insightful quotations from well-known artists and writers. Each week offers suggestions for grounding both the creative and the spiritual life through three basic practices: walking, lectio divina, and journaling. It is a time of shift, of awakening, new challenges, greater complexity in every dimension of daily life. The Artist’s Rule is a treasure for those of us who long to live a rich inner life, to be fully human and creative members of a creative Universe, to give expression to what is moving within us--to write, paint, make music, and dance. Christine frames her exploration in monastic wisdom, but in our present context where the whole world is our monastery. Going through the explorations and exercises in The Artist's Rule is the closest thing you can do to attending Christine's workshops and retreats in person. Christine's soothing vocal rhythm in person is amazingly translated in this book. Not only the vocal, but the back and forth movements from the heart to the mind and back again is like being on a hammock on an exotic beach. This feast of a book will satisfy any person longing to truly participate in creation in creative ways. Each weekly session is inviting, safe, and surprisingly doable due to Christine's compassionate arrangement of elements. Instructions, directions, and guidance gently flow and make one feels Christine's own creative journey. Like condiments laid out on a dining table, quotes from poets and writers, mystics and saints and ordinary people are sprinkled throughout its pages. Then Christine uses those excerpts as pointers, or even supports, for the topic she is discussing. The power of this type of presentation lies in the way that she rocks you on both sides of the brain. She brings you down to earth one moment with a Wendell Berry or Celtic prayer, then swings you high to the heavens with a Rilke or the Desert Fathers. I guarantee you that this is not your standard contemplative practice. Be ready to be rocked, to be pulled and to be pushed, and to fly. Her words and her exercises will take you to a place you've never been before, because you will be asked to do things you haven't done before.